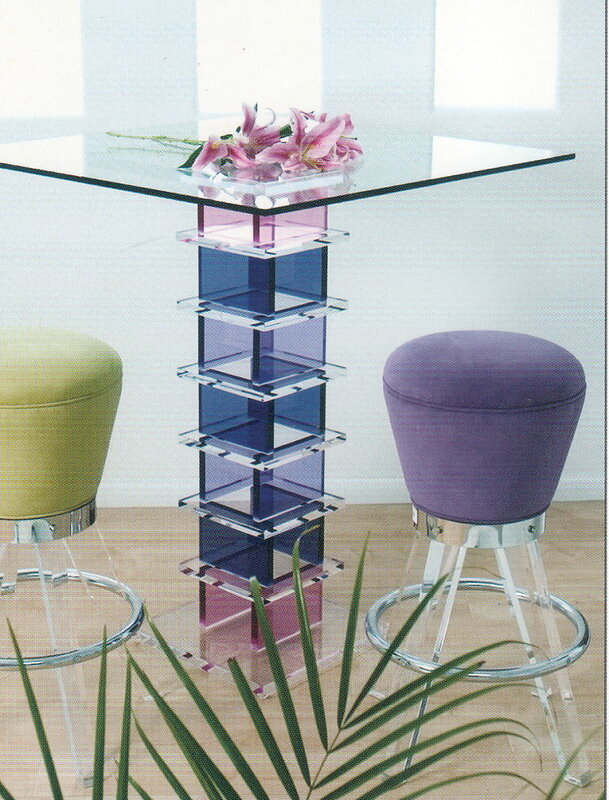 Made of aircraft-grade acrylic and steel for those who can afford the finest bar furniture. Made in USA. $ 995 ea. 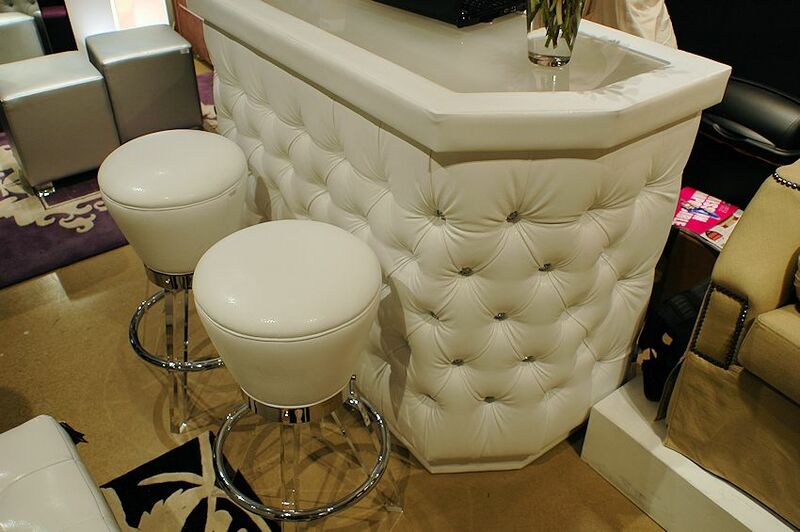 - Gumdrop bar stool with clear acrylic legs and White vinyl seat.